Luckey Robert was born in Philadelphia in 1887 (uncertain year). He was left to his own at a very young age. He appeared on stage with various circus orchestras and Minstrel Shows in which his first performances where acrobatic tricks. He discovers music and took his first piano lessons at the same time. From 1911, he established as a pianist and composer in New-York City where he met other « ticklers » such as Eubie Blake et Willie « The Lion » Smith. His first compositions where created at this period (Junk Man Rag, Ripples Of The Nile, Pork And Beans). After serving in Europe during the World War I, he came back in New-York City and formed his own orchestra whose growing reputation led him play for the Duke of Windsor who was visiting in the USA. As a forefront musician in Harlem, he had a great influence on many younger pianists such as George Gershwin and Duke Ellington. 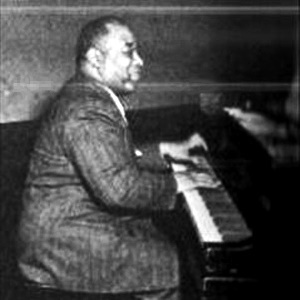 Despite his small size, Luckey Roberts was a strong guy and had very large hands which let him reach large gaps on the keyboard (almost two octaves). He had a sturdy and original piano playing, which came directly from ragtime. He was along with Eubie Blake one of the precursor of Harlem Stride Piano. Unfortunately, his first solo recordings were made rather lately: in 1946 for Circle, and in 1958 with his fellow Willie « The Lion » Smith.